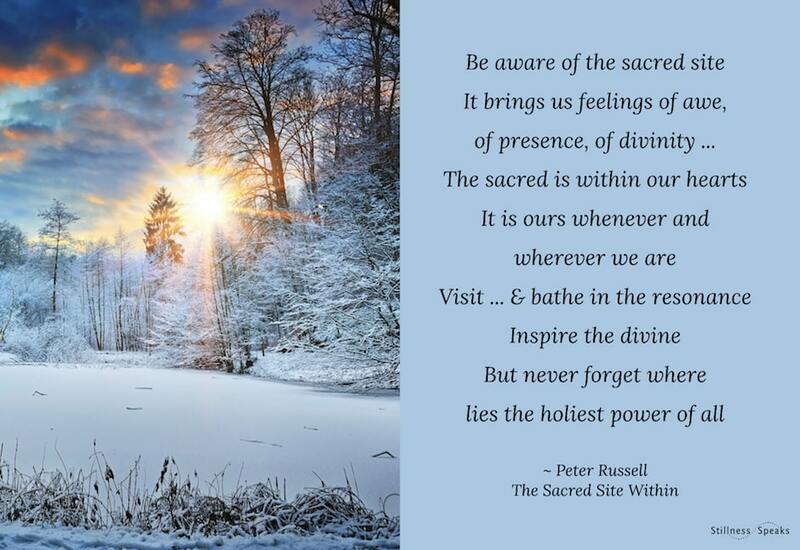 Be Aware of the sacred site. It brings us feelings of awe, of presence, of divinity. The sacred is within our hearts. It is ours whenever and wherever we are. Let our daily rhythm be guided by the sacred within … which may bring about real peace for humanity. So … over the next 6+ weeks – until February 28th – we’ll be brainstorming on a roadmap for 2019 … which will be shared in our next newsletter (1st week of March). Meantime, content publishing will continue, although at a slower pace both on the website and the social channels (twitter, facebook, and Instagram). Our survey has been running since April ‘2018 – with initial results continuing to hold strong – and it will be incorporated in our future plans (some already in 2018) … so we can continue to offer content that is more tailored for you. 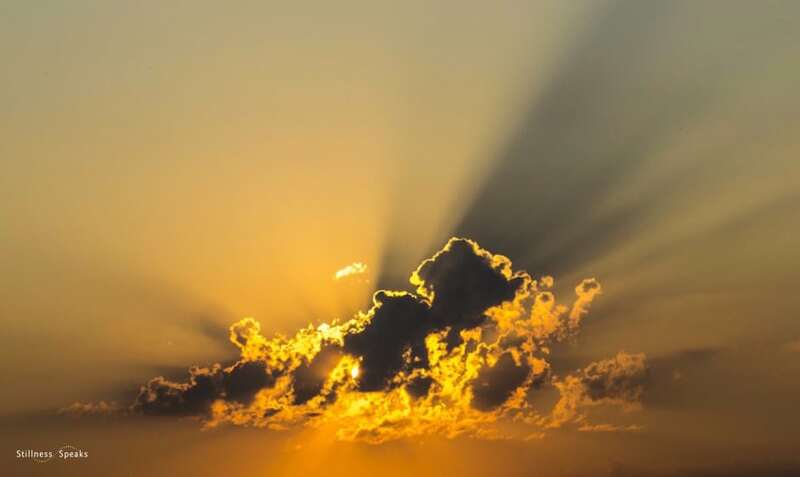 May 2019 continue to deepen the peace within … through the guidance of the sacred within. Quote: Pocketful of Miracles: The Sacred Landscape compiled by Fredric Lehrman. Please donate to help us spread truth, love, and beauty! We’re conducting our annual survey to figure out what subjects matter to YOU. Please give us two to three minutes to fill in this survey and we’ll send you two free gifts. Nirmala: What Is This Moment’s Treasure? We welcome your donations to keep this project thriving. Over the years, we've recorded some videos with teachers that — until now — have only been available on DVD. 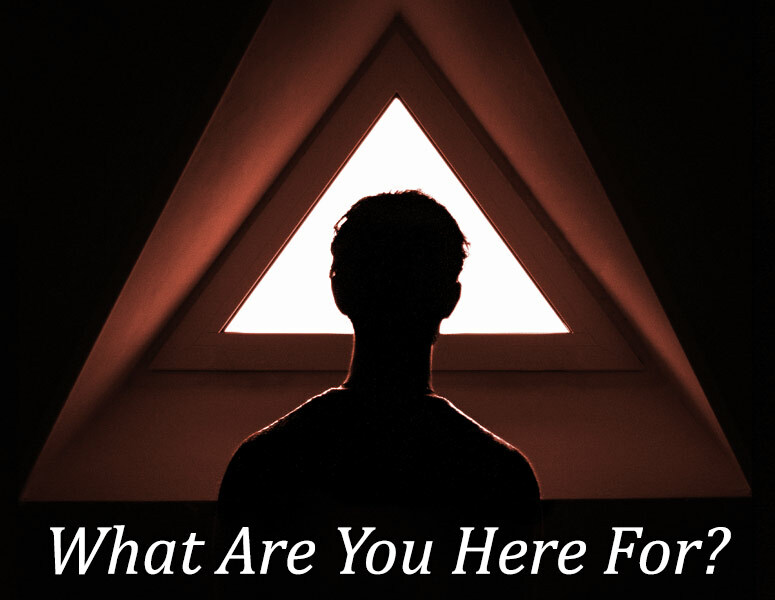 Sign up for our email newsletter and we'll send you one of these amazing teachings for free. © 2019 Stillness Speaks®. Text may be shared according to Creative Commons CC By-SA. Website by Canton Becker. We also want to send our latest articles, videos, and podcasts via email once per week. As a thank you for signing up, you'll receive a video we produced that is unavailable anywhere else on the Internet. Thank you! Please check your email for a welcome message and a link to the video.